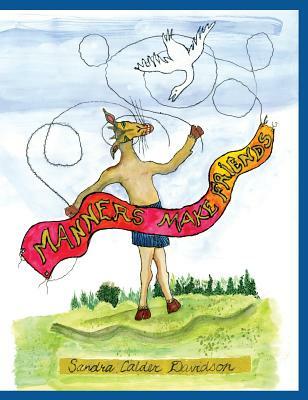 Recently I was telling a friend that I wanted to do a book on...manners "Manners are missing But I cannot start without having a title And I have not yet found a title "
"I have one " said my eight-year-old grandson raising his hand. "And what can that be?" I asked him a bit dubious. "Manners Make Friends," he cried out. Sandra Calder Davidson is the daughter of the eminent artist and sculptor Alexander Calder. She lives in New York City.